The Nice Guys didn’t perform as well as we felt it deserved, yet Shane Black is something of a hot commodity again. While his Predator sequel / reboot / whatever prepares for a release in February of 2018, the writer-director apparently spent this Memorial Day weekend with, fittingly, our greatest living American, Dwayne Johnson, to move forward with their long-rumored collaboration: Doc Savage, a ’30s- and ’40s-era superhero who pre-dates and, speaking for ability, in many ways matches Superman. Taking to Instagram, the star confirmed his involvement in the project scripted by Black, Nice Guys co-writer Anthony Bagarozzi, and Chuck Mondry. Sony is supporting the project, about which little else is known — though one imagines it’s to come after The Predator, i.e. remains a few years off. Waiting aside, the point stands: it’s plenty nice to have more Black, and it’s no less odd to be actively excited about a superhero picture. In terms of something bound to be much, much smaller, Deadline reports that a recent sci-fi cult classic is getting the follow-up treatment. There was, several years ago, once a lot of buzz about a low-budget project titled The Man from Earth, a single-location genre piece with no special effect but imagination, in which a character named John Oldman (nobody said it was perfect) reveals to stunned friends that he is the oldest living human, and in his 14,000-year-long travels perhaps became the basis of modern religion — among other things. 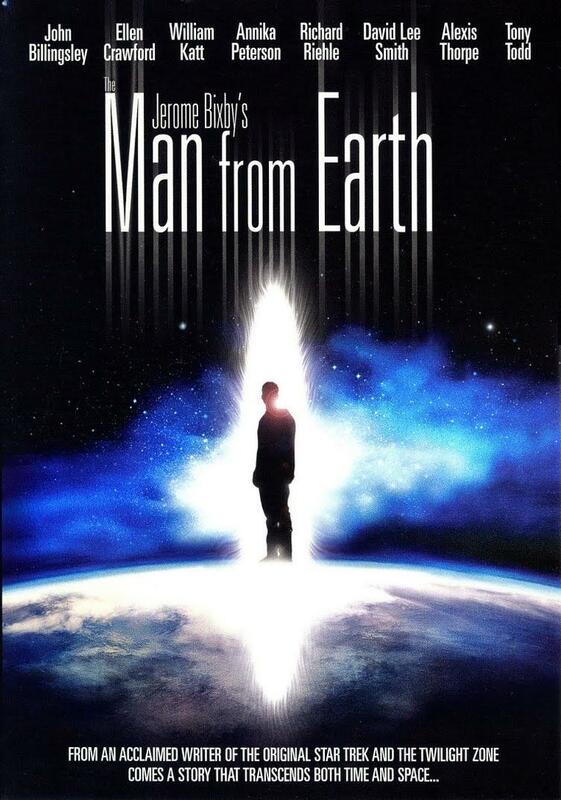 Although it’s not exactly the kind of film from which one could reasonably expect a sequel, director Richard Schenkman, co-writing with Emerson Bixby — son of the legendary Jerome Bixby, for whom Man was a final work — will reunite with stars David Lee Smith and William Katt for The Man from Earth: Holocene. Make of that ice age reference what you will, because that’s about as far as word goes just now; but being that John Oldman (again…) made a point of migrating every ten years to avoid the suspicions of those closest to him, a few assumptions can be made. Joining the cast are Vanessa Williams, Carlos Knight, Sterling Knight, Akemi Look (Dear White People), and Brittany Curran. The Man from Earth: Holocene rolls cameras next month and is expected to arrive in 2017 — fittingly, ten years after the original’s 2007 premiere.